Janie and Stuart McLoughlin extend a warm welcome to you at Ebor House Bed and Breakfast. Our B & B accommodation in Hawes, situated 850ft above sea level on the Pennine Way, at the head of Wensleydale in the heart of the Yorkshire Dales National Park. Ideal for Holidays, short breaks or romantic weekends away and also making this the ideal location for walking, cycling, pony trekking, fishing and hang gliding. 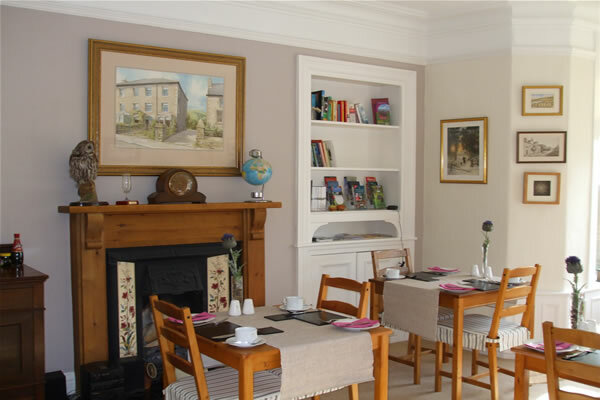 The house is just a short walk from Hawes town centre (approximately 200m). Ebor House is a stunning three storey semi-detached house, built by the Methodist Church in the late 1800’s, and completed in 1905. 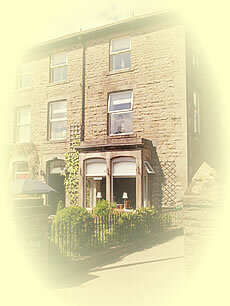 Ebor House has been a Bed and Breakfast for the last 70 years, originally 8 letting rooms with one shared toilet. Since the 1970s Ebor House has been used as a family home with three letting rooms, then in January 2006 we started our refurbishment programme and increased the letting accommodation to 6 rooms, five with en-suites. 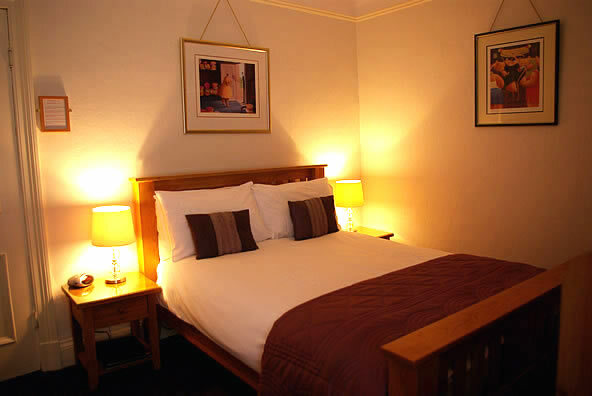 All rooms have been lovingly restored blending period features and furniture with new to great effect. Janie & Stuart moved from Largs on the west coast of Scotland (although Stuart is originally from Southport and Janie From Paisley near Glasgow), with a vision to create bed and breakfast accommodation to the very highest of standards, ensuring a friendly, comfortable and relaxing stay in this one of the most spectacular parts of Britain. Ebor House has secure storage for cycles. For the comfort of all our guests Ebor House and grounds are strictly non-smoking. Unfortunately we cannot accept pets. 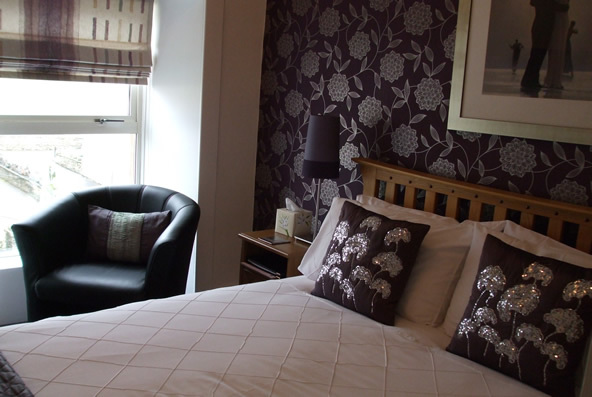 All our rooms have been beautifully upgraded and decorated whilst retaining many original features to compliment all the modern touches you would expect from quality accommodation, to enable our guests to enjoy a comfortable and relaxing stay. 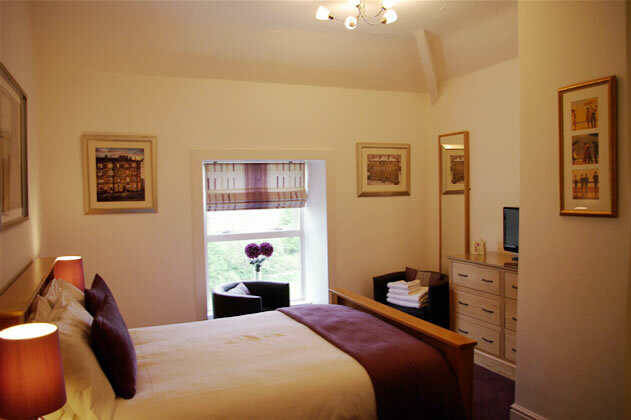 All rooms at Ebor House B&B are En-Suite, with the exception of room 6 which has a private shower room just along the landing.